The 29-year-old Central Defender Themba Tshabalala has vast experience in the beautiful game and has travelled substantially, now finding himself in the Capital City of KZN, Pietermaritzburg. His career started in Tembisa when he played for Royal Tigers and before long he was recruited to the Themba Mnguni Academy in Pretoria before joining Tembisa Classic. 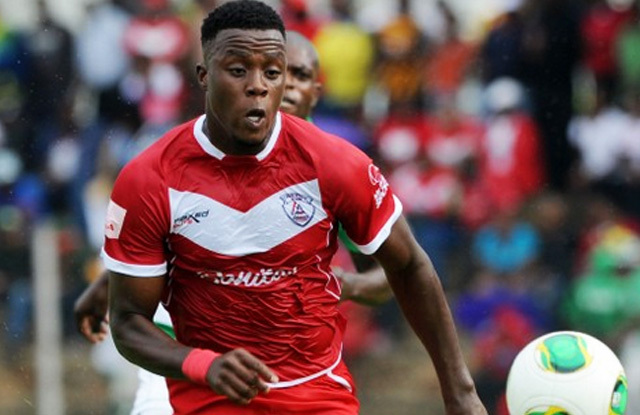 It was at Jomo Cosmos where he spent quite some time before he was snatched up by Free State Stars. Themba says he received a good welcome at the Team of Choice, "The guys made me feel at home and I’m settling well. I also came here with my family, so I’m okay," he said. He is impressed with his progress at training: “So far so good, I had a minor injury, but now I feel a big difference. I’m not yet involved in contact sessions, but I’m working on my fitness and I’m doing very well. "Soon I’ll be involved in everything the guys are doing,” he beamed. Teaming up with the likes of Bevan Fransman and Bryce Moon gives Themba a lot of confidence at the back. Tshabalala is aware and happy that the Team of Choice has lot of support. “I could see on TV or when we came to play at Harry Gwala, the stadium was full. I ask them to continue with the support, we will make them happy this season,” he said. “We are not here to add numbers, but to add value and bring happiness to them,” he concluded.